The heat-treated steel cutting edge on the Frontier AF11 and AF12 Series Front Blades are reversible for twice the durability and work life. 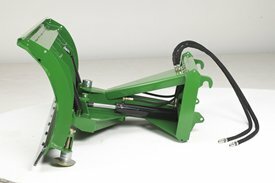 The hydraulically controlled angle can be adjusted 30 degrees to each side to overcome the toughest spots. This feature saves time and creates professional-grade results. 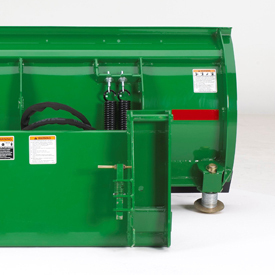 A loader third-function hydraulic line is required. NOTE: AF11E models have an optional hydraulic angle adjustment available. 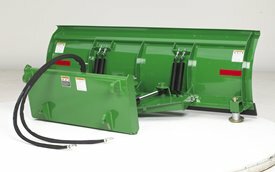 Attaching the Frontier AF11 and AF12 Series Front Blades to a John Deere loader is easy with the Quik-Tatch feature. 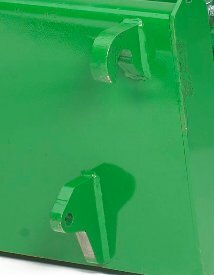 Just line up the loader's connecting points to the attachment frame; then, lock the frame in place. 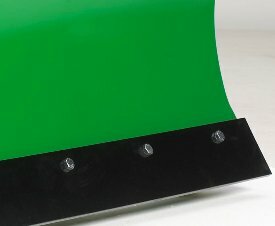 The loader-mounted front blade is made of heavy-duty steel to resist bending and provide longer wear capability on the Frontier™ AF11 and AF12 Series Front Blades.